is lovely decaying among the flowers. the trace of your famished life fed my eyes. no sentiment of loss. Everything’s up for renewal. in the woods that smell of humus, then Utanede by midnight. plump with bandages, roosts... no. ― is bright and alert. Shadows have pates now: flowers inch open. the aspen is glittering. I stumbled into the sun. you put your feet up. Green morning sunshine. swaying between a birch and pine, wishing nothing. & the fil flopped into itself in the bowl. a bather on the brink. Then I dogged it all. where the axe clanged and split your hand. you shove off, and go sleeping on the wing. Under your eyelids, the day broadens. Deep in your shadows, how loud the birds sing! so long may I read and dance, so many winter days! Back-story. 51-53. The road trip ends, with a day of driving through steady rain. Brief stop for coffee and a loppis at Överkalix in Norrbotten. 53, 57. While L. and I were cycling round Abisko (37 - 50), my dad was at a hospital in Kiruna having the stitches taken out of his hand, following a recent accident with an axe. 54. Waking up in the morning at the summer cottage in Utanede, last seen in Poem 2. This is the locale for the rest of the sequence. Fine weather suddenly, after a very wet summer. Time for the outdoor chores (57, 58, 60). 54. The ghost-farm. An abandoned building on the fringe of the village, hence higher up the slope of the river valley and catching the morning sun earlier. 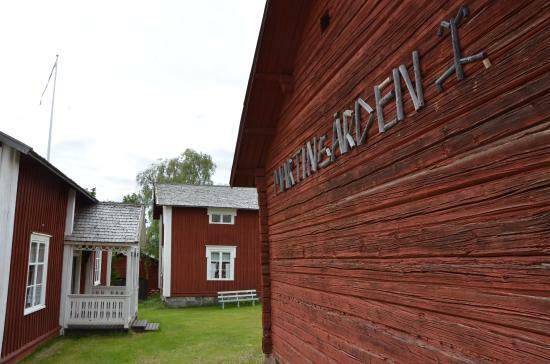 The rural villages of Jämtland (like rural areas elsewhere) are reduced in population; empty buildings are commonplace. 56. Långfil. A regional variety of fermented milk with added butterwort, which gives it a ropy texture (hence "long fil").